Born To Sparkle were so honoured to be invited to the first ever Busselton Pride Parade! 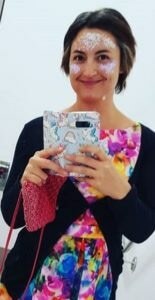 We loved helping everyone show their inner sparkliness to the world. It’s a very special thing to support the LGBTQIA+ community by physically applying pride in the form of glitter. Not to mention, rainbows and glitter are a match made in heaven. ✨ An old couple from the country attending their first Pride event. These guys had an air of ‘Finally, we get to wear rainbow face sparkles and celebrate who we are. Better late than never’! We loved applying their long-overdue Pride glitter. ✨ There were so many allies getting sparkled up to show their support. One group of allies brought their friend to the Sparkle Tent to get covered in sparkles all together in a show of solidarity. Generously supported by the City of Busselton, the parade took place on Queen St with a bangin’ after party at the local Esplanade Hotel. Born to Sparkle were super chuffed to be the official after-party sparklers as well! The Sparkle Crew had a great time applying some 18+ glitter tattoos to revellers celebrating in varying degrees of intoxication. The outpouring of love and acceptance for the LGBTQIA+ community was so beautiful to be a part of. As the fight for this community’s equality continues, Busselton Pride was a strong message from a small rural town to the world. We hope this annual event continues to grow and look forward to supporting Busselton Pride with love, glitter and sparkles next year! 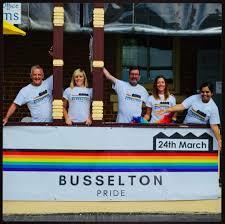 Click here for more information about Busselton Pride! Photo Credit to mishy2417, it was a pleasure to sparkle you.